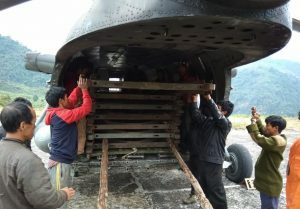 In an effort to strengthen surface communication at remote Damin circle in Arunachal Pradesh’s Kurung Kumey district, Mi -17 helicopters of the Indian Air Force have airlifted more than 80 tonnes of bridging material to the otherwise inaccessible area so that a bridge can be built over Kume River. 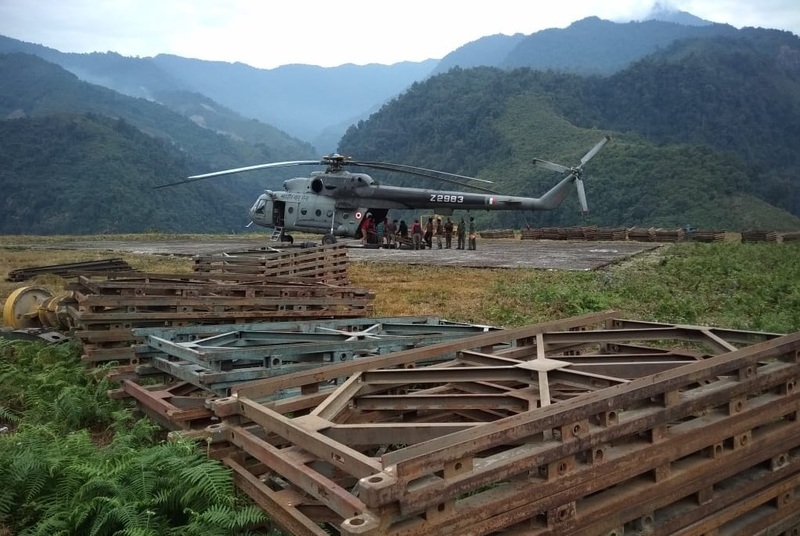 Owing to its strategic importance, the vital bridge, once constructed will play a crucial role in easing out the inconvenience caused to local people and troops deployed in this remote part of State. Besides this, the bridge will also join the settlements of Huri with Damin. The construction of the significant bridge is being undertaken by Border Road Organization while the IAF is assisting it in carrying the load to expedite the building process.